Have you ever wondered how your salary ranks among fellow professionals in your area? Robert Half Technology has added a salary calculator for information technology professionals. Knowing the average starting salary and salary range for a specific position is useful information. Enter your zip code, select your area of IT, then select professionals to find salary data for you or employers to find data for your current employees and new hires. You will be shown the average starting salary range for that position in your area. Any available jobs in your area for that position. Salary ranges in surrounding areas. Additional details such as which skills add value to the position. And an explanation of the method used. One interesting aspect of the results is it shows you what percentage to add to the salary range for certain IT skills. This is a good indicator of where you can invest in your training to improve your career and your earning potential. Adding to your skill sets not only make you more valuable to the company, but they can actually pay off in your salary. Read 10 Certifications to Improve Your IT Career for more. 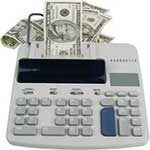 To use the salary calculator visit the Robert Half Technology web site. Click on the Salary Center menu item and then the Robert Half Technology Salary Calculator widget. Be sure and look around the rest of their very good web site. Knowing what your position and skills are worth in the current job market is a valuable tool for salary negotiations. If you go in with accurate data you will be more likely to come out with a better salary. This applies to those looking for work as well as those who are looking to increase their salary.